An exclusive mattress with well thought-out core, carved into foam springs. 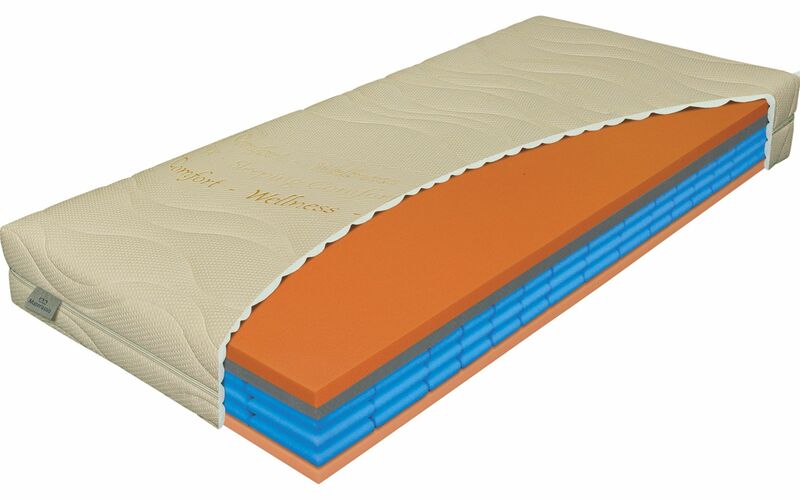 This mattress offers customers a full-foam option, ideal for those that favour a classic pocket mattress for its comfort and excellent ventilation properties. The upper profile is made of high-density viscoelastic foam and NIGHTFLY quality HR foam, which is permeable and is outstanding at adapting to shape. The foam spring core is made of ELIOCELL foam of a density of 35 kg per cubic metre, while the lower profile, made of the same foam, has a density of 28 kg per cubic metre. This mattress can also be recommended for positionable slats, something that is not possible with standard metal springs. The exclusive height of 22 cm and weight-bearing capacity of 130 kg will provide you with a quality, healthy sleep all night, the mattress breathing with your every movement. The detachable BAMBOO cover, with natural bamboo fibre, naturally repels micro-organisms and is crease-resistant. BAMBOO stitched with PES fibre, 200 g per square metre. Topper: Viscoelastic/lazy foam of density 50 kg per cubic metre, NIGHTFLY foam.Mattress core: ELIOCELL foam, density 35 kg per cubic metre.Lower layer: ELIOCELL foam, density 28 kg per cubic metre.